Postcard courtesy of John Salmon from his website St Silas the Martyr, Kentish Town. See - http://www.saintsilas.org.uk/section/106. Requests for reuse should be addressed to him. 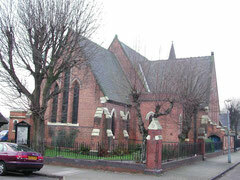 St Silas' Church was in Aston not Handsworth, although the boundary runs only some 250 metres to the west here. However, the modern parish is now in the arch-deaconery of Handsworth. Map above taken from Archibold Fullarton's 1866 map of Birmingham from the Mapseeker website - use permitted for non-commercial purposes. The shaded line is the Birmingham boundary, just 50 metres south of St Silas'. Birmingham is at the bottom of the map, Aston at the top rapidly being built up. The red circle shows St Silas' in Aston, but not far from the boundary. 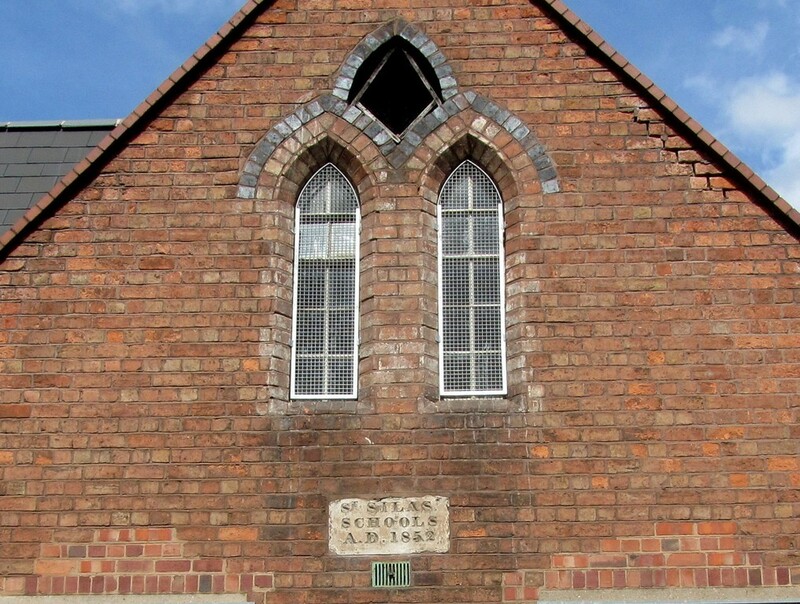 St Silas' can also be found on the 1890 Ordnance Survey map on British History Online - http://www.british-history.ac.uk/mapsheet.aspx?compid=55192&sheetid=10080&ox=4652&oy=2954&zm=1&czm=1&x=238&y=225. St Silas' viewed from the north-west. 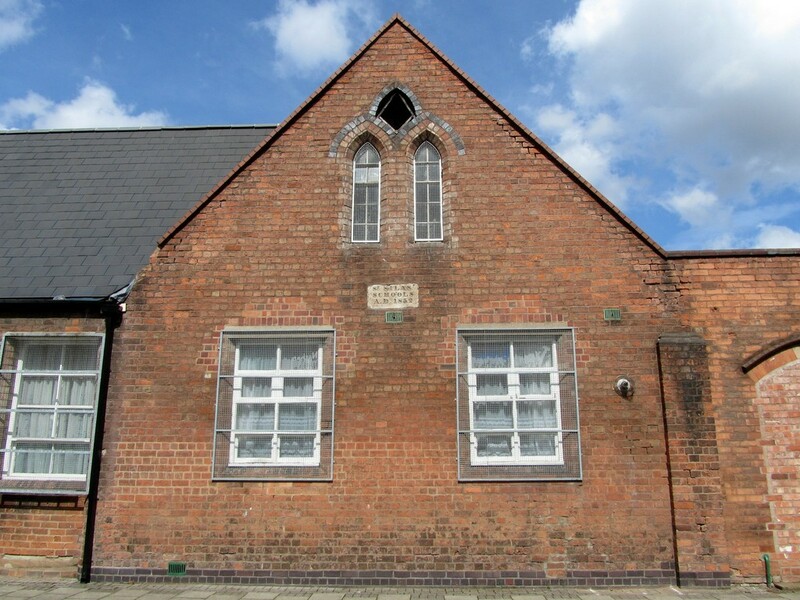 Image courtesy of John Salmon's St Silas Kentish Town website - http://www.saintsilas.org.uk/section/106. 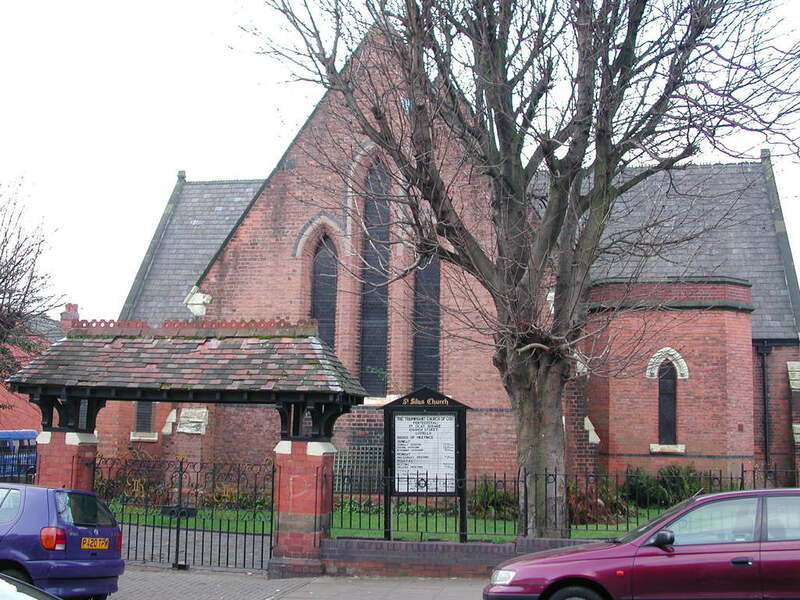 The parish of Aston was an extensive one. 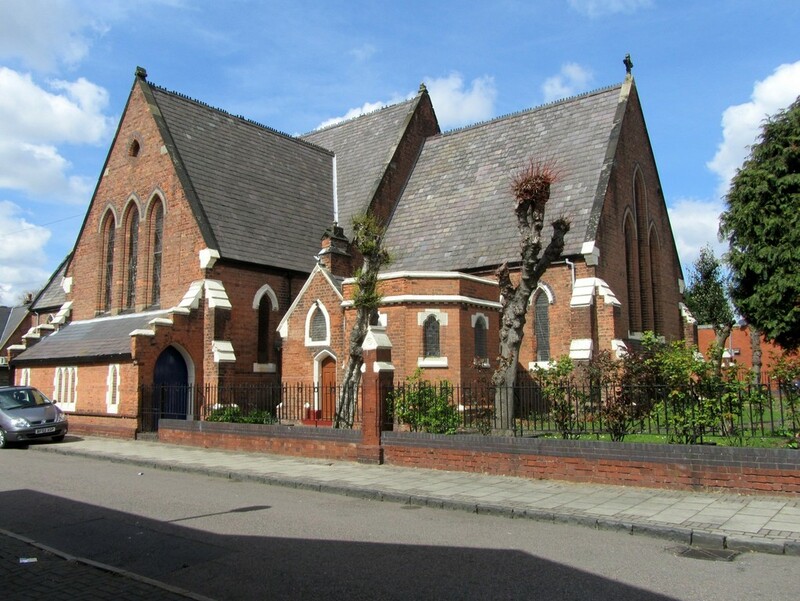 Churches had been built in those parts of the parish nearest the expanding town of Birmingham earlier in the 19th century, but it was not until 1854 with the opening of St Silas’ Church, that the first new church in Aston proper was erected. Just beyond the Birmingham boundary Aston was beginning to develop rapidly by the middle of the century. 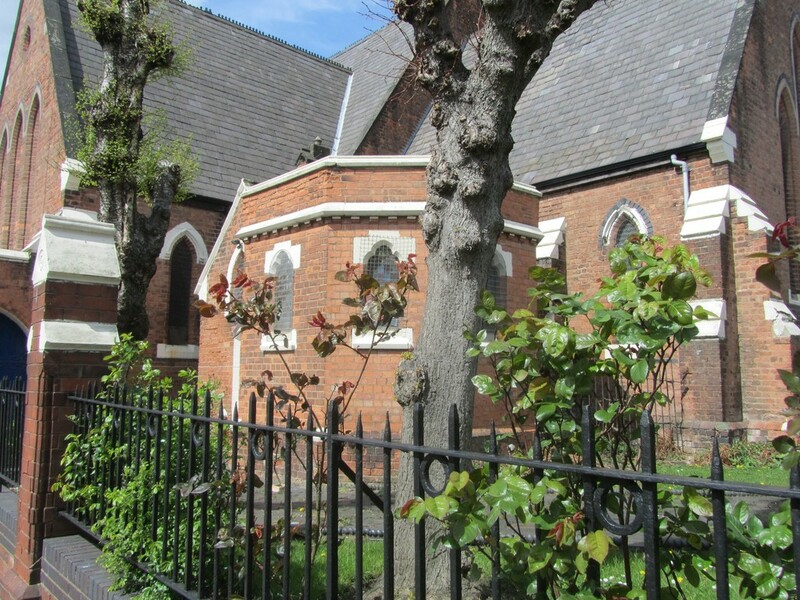 The terraced houses around St Silas’ church were small but of good quality; some of the land in this area was developed by the Birmingham Freehold Land Society, one of the earliest building societies whose aim was to enable working-class people to buy their own homes. 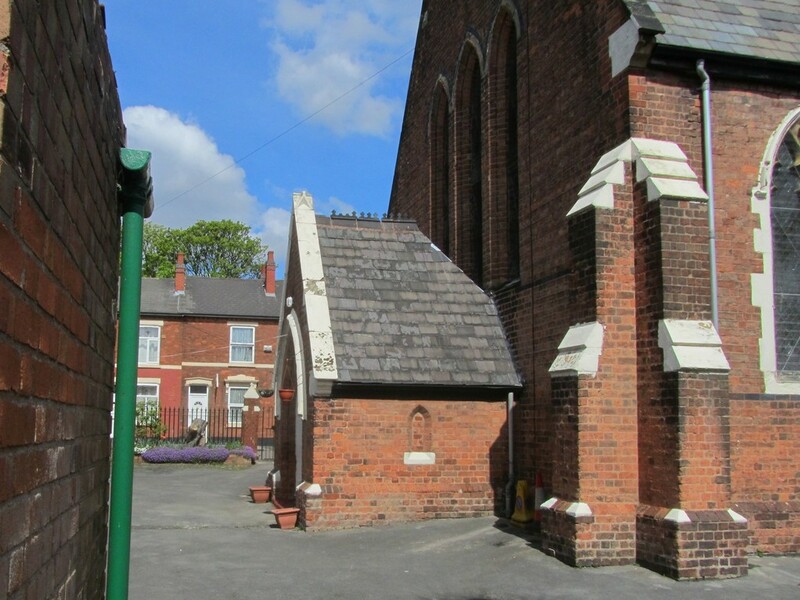 St Silas’ Church and school were built on the same site in the middle of such a development. 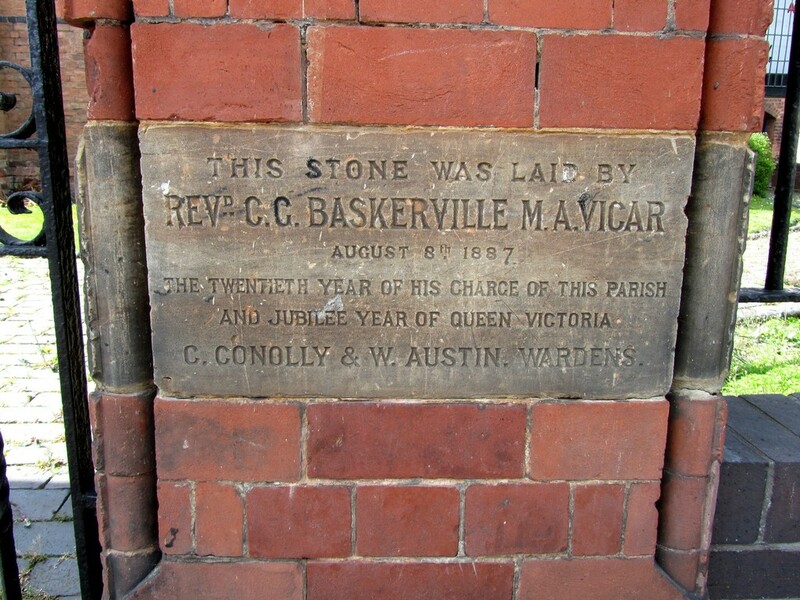 Building started in 1852 and the church was consecrated in 1854 when a parish was assigned out of that of Ss Peter & Paul, Aston. 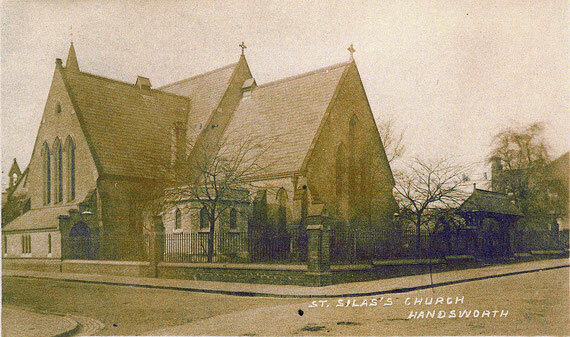 St Silas’ is a church in cruciform plan designed by Frederick W Fiddian. 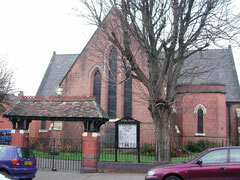 Built of brick with stone dressings in Gothic style, it has a slate roof and comprises a chancel, nave, and transepts. Octagonal vestries have been built in the angles between the transepts and the chancel. An enclosed cloister has been built along the end of each transept. The windows of the transepts and chancel are simple lancet windows in early English style. 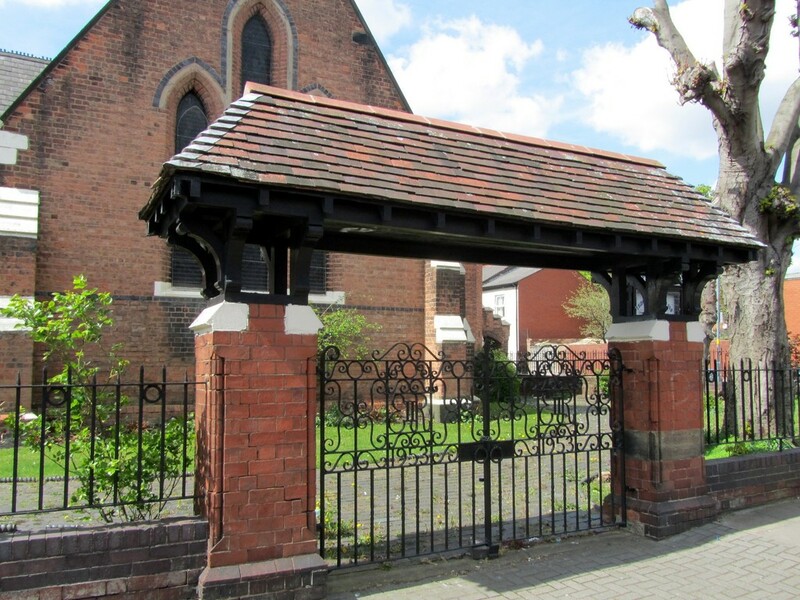 There is a lychgate at the east end. The nave has four pointed-arched windows on either side with intersecting Y-tracery in Decorated style. As with the rest of the building there are buttresses between. The main entrance is via a porch at the west end. On the west end of the nave roof is a small bell turret. Inside there is a west gallery on slender iron columns and big timber posts, which may be the work of J A Chatwin c1880. The open trussed roof has a frieze of quartrefoils at wall plate level. The font and the pulpit may have been fitted later. The church is Grade II Listed. 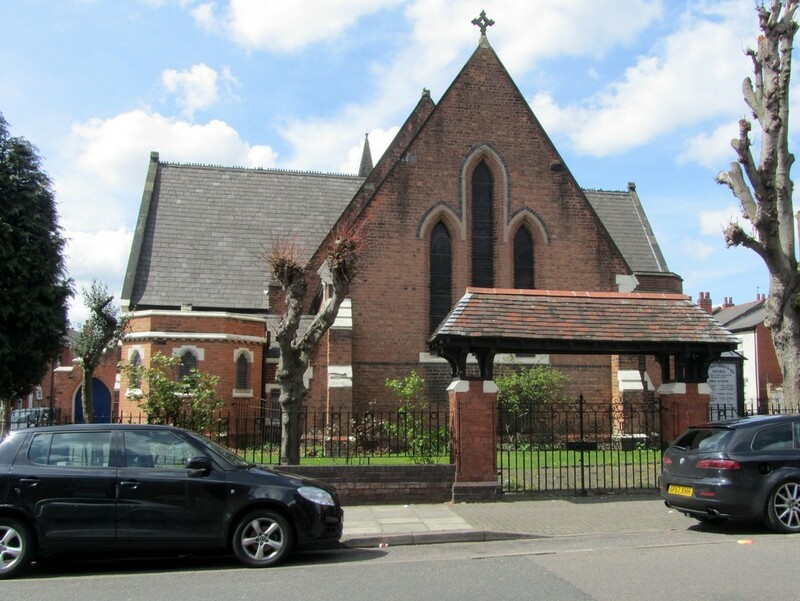 Images below courtesy of John Salmon from his website St Silas the Martyr, Kentish Town. See - http://www.saintsilas.org.uk/section/106. Click to enlarge. 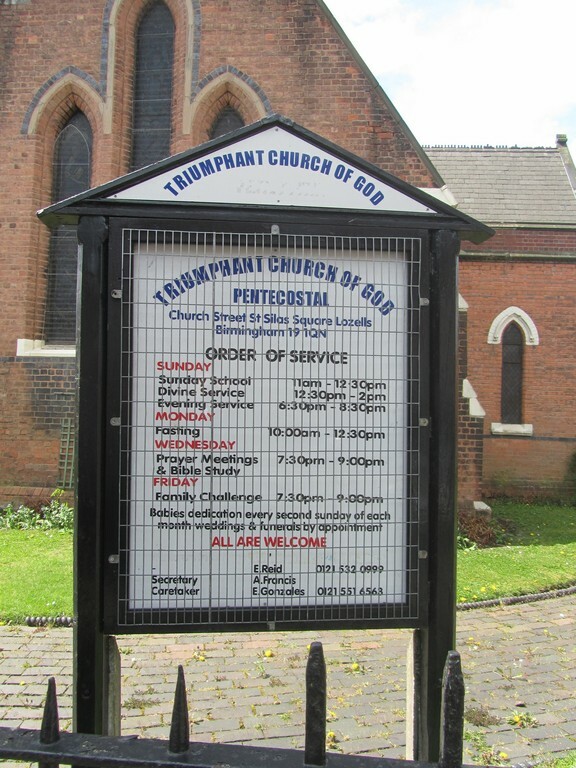 In 1985 the church was declared redundant and the building was sold to the Triumphant Church of God Pentecostal church. 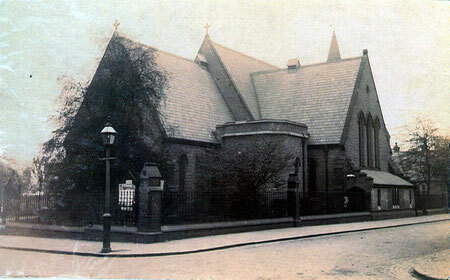 The parish was joined with that of St Paul’s on Lozells Road. 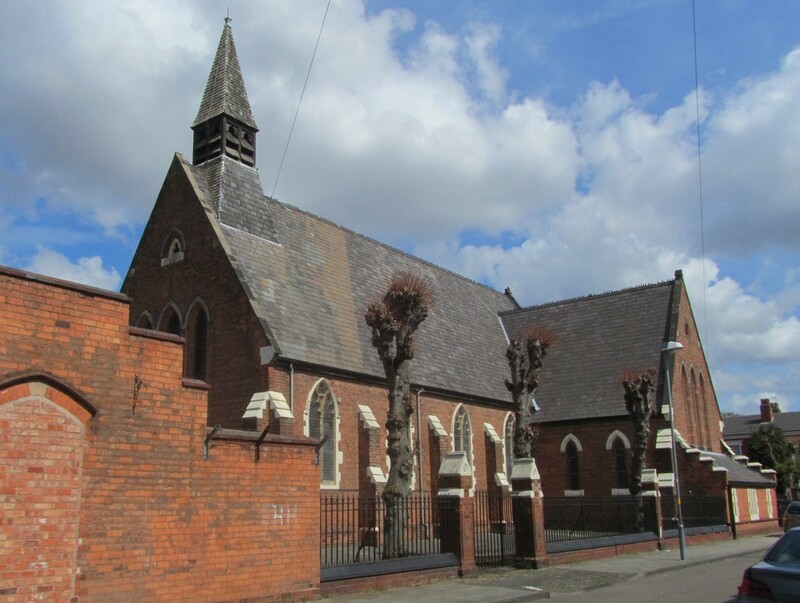 St Paul's church building had been sold three years previously and the congregation moved to a new purpose-built church and community centre, now known as St Paul & St Silas, on the corner of Lozells Road and Berners Road. The new church was designed by Robert Tolley of S T Walker & Partners. The new building is built of brick with roof slopes covered in roll concrete tiles; it has a large feature window to the north, of timber construction with exterior cladding of steel sheet. It was licensed for worship in 1986. See A Church near You - http://www.achurchnearyou.com/lozells-st-paul-st-silas/. Historic England website - https://historicengland.org.uk/listing/the-list/list-entry/1075667.